Classical Workbooks are designed to help year 10 and year 11 students master the set texts for Latin and Greek GCSE. They also cover the texts set for year 12 and 13, namely AS and A2 Latin, and AS Greek. 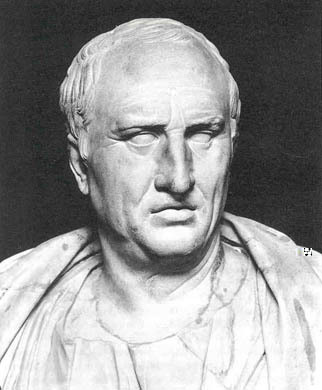 Most students will drop Latin after GCSE, so it is right to give them a “taster” of the great Roman writers such as Virgil, Cicero, Tacitus etc. However, at the same time it must be recognised that 15-16 year olds are nowhere near ready to read these major league authors independently and that they are going to need A LOT of help. Because most books provide so little help – often no more than a few notes and a vocab list - I started Classical Workbooks in 2006. The books aim to be thorough, explaining everything that might need explaining. No student should feel that they’ve been left in the lurch without help on a difficult piece of text. To make sure they work, I test them out on my own students. The principal aid to the student is the interlinear translation, which underneath each Latin word gives its meaning in English. It is an article of faith in Latin teaching that students should work out the translation for themselves, so at first I issued these cribs rather shamefacedly. Then I found out from the work of Professor Stephen Krashen in the USA that giving the students the meaning up front was the right way to teach languages in the first place. Some 30 years since his theories revolutionised Modern Language teaching, Krashen’s work remains unknown to Classics teachers in the UK. But I firmly believe that one day it will become received wisdom that the correct way to teach Latin is to tell the student at the beginning what the Latin words mean. Another couple of points: the workbook makes it easy for students to study the text in their own time independently of the teacher. This is particularly important for Greek, which many students study off-timetable. And since this is a workbook they can scribble all over it and write notes during class. Several months later when they need to revise for the exam, they can take out the workbook and all their notes are stored there. Up to now the books have largely been concerned with showing the student how the Latin fits together. However, in recent years the examination questions have come to concentrate more on literary appreciation, so I will be adding brief style notes in future. “Brief” because literary appreciation should be the fruit of interactive discussion between teacher and pupil rather than simply memorised from the book. In February 2014 we released an Apple iPad version of the GCSE Virgil Aeneid XII workbook, which will be the first of a series of Classical “eBooks”. The key advantage of an eBook is that the screen is dynamic, while the printed page is static. So, for example, when reading the text you can simply touch a word on the screen and it will display the definition and principal parts. Or you can choose to display the text with the nouns and adjectives which agree shown in the same colour. Also, of course, eBooks can also provide sound, which is crucial to teaching any language. These are very much early days, but the potential is obviously huge, and it really is rather exciting at the moment.